Thiruvananthapuram is one of the most scenic cities in the southernmost limits of the Indian Subcontinent. Adorned at one side by the pictorial range of the Western Ghats and on the other side by the azure waters of the Arabian Sea embellish its coastline, Thiruvananthapuram happens to be a leading tourist destination in the Malabar Region. The city of Thiruvananthapuram also draws a wide number of visitors from near and far as a premium hub in the field of history, culture, education, technology, media and science. These people move in as well as move out of Thiruvananthapuram availing the various modes of conveyance obtainable in the town, the most accessible one being the trains from Thiruvananthapuram. 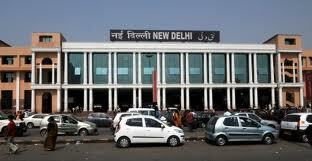 An important destination, which is well connected by the railways in Thiruvananthapuram, is the city of New Delhi, the stations in Delhi being the New Delhi station, the Delhi Hazrat Nizamuddin station and the Delhi Sarai Rohilla railway terminal. Delhi Hazrat Nizamuddin DZM is situated within 7 Kilometres from the New Delhi station NDLS.